We hope you love this one as much as we do! 1. Add olive oil to pan over medium heat. Add minced garlic and asparagus. Saute for approx. 3 minutes until tender crisp. Remove from heat and chill for 20 minutes. 2. 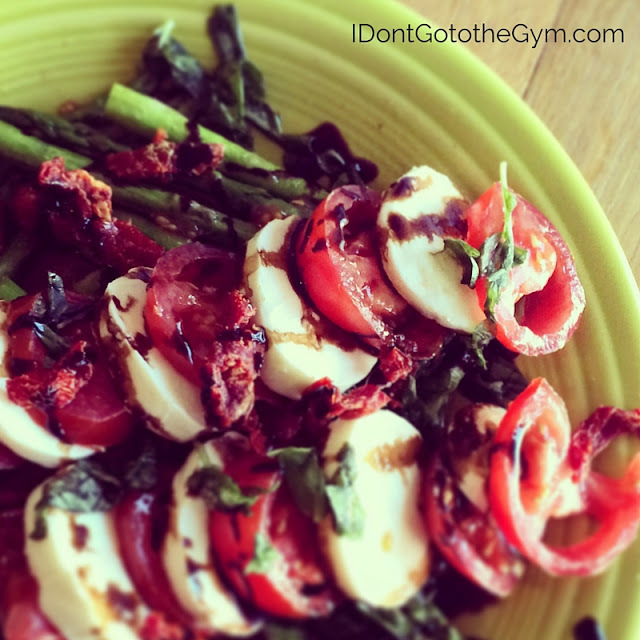 Slice tomatoes and mozzarella cheese into similar size pieces. 3. Layer asparagus onto serving plate. 4. Top with rows of mozzarella, tomato, mozzarella, tomato.. etc. 6. Drizzle with balsamic and serve! This looks so good ! Love the idea of using asparagus with it! :) Will have to try it out. 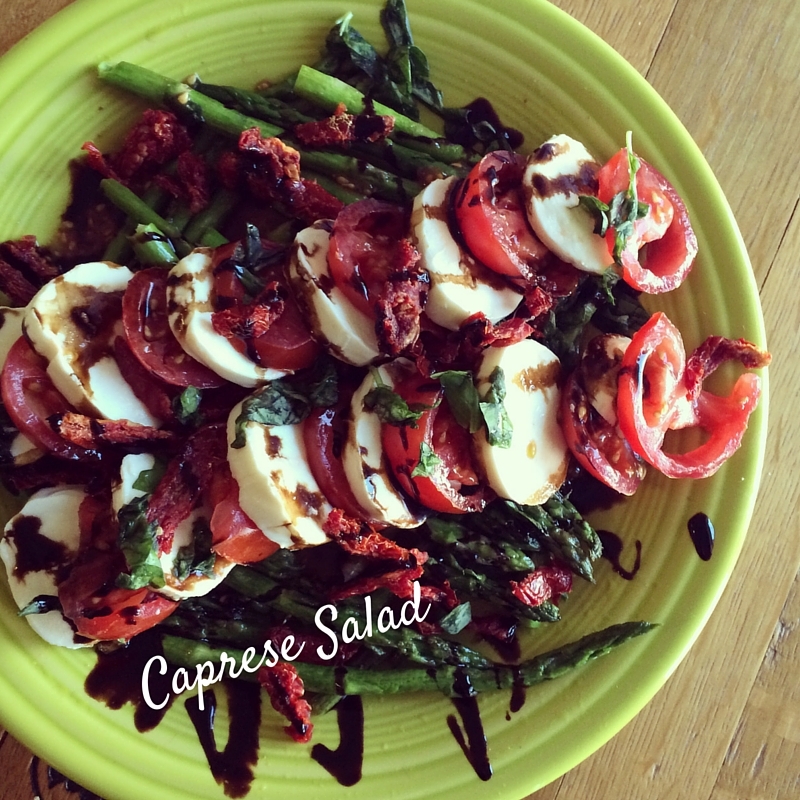 Asparagus Caprese Salad looks great.Thank you so much for sharing these marvelous recipes here.I hope this salad contain so much Nutrition facts. I am going to make this salad for my dinner. I'll never realize why individuals have the immigrants much. They simply try to look for a much better existence plus they work it. And, honestly, they always try everything they you'd never done. So, you need to be grateful! Now I wish to spend my time about this bid 4 papers and browse this short article for any million occasions to possess research or something like that regarding their lives making this tales best on the planet. To create this person amazing for everybody. This just so proves that it's not necessary to go to the gym in order to have a healthy and fit body. For the past few months I have been trying to lose some weight because I am aware that my body right now is probably at its worse state. I went to the gym every week but as a consequence I end up eating more and more out of the exhaustion. This time I will try to shift to a healthier lifestyle by eating a healthy diet and I hope it will work for me.